I think I might have talked about this before but "The 2nd Law" is probably my least favourite Muse album. It felt like the "jumping of the shark" moment for the band where they took their appreciation of Queen across the line towards openly copying them. They've taken a slight backtrack from this in their most recent album "Drones". But there were times on "The 2nd Law" where Muse went into "taking the piss" territory when it comes to their "inspiration" from Queen. However with "Panic Station" Muse didn't do that. They went in a completely different type of homage. They went into the Eighties and paid their respects to INXS. So if you're thinking I'm hypocritical of the fact that I'm "cool" with the fact that they "copied" INXS but am not "cool" with them "copying" Queen then I'd understand that to a certain extent. 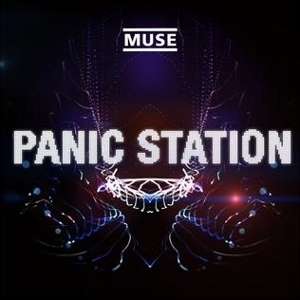 But the reason why I love "Panic Station" is because it's so different. It's fun. It's very very cool. And in the end, Muse going in a different direction, away from Queen is a welcome inspiration in my eyes. And it's not like INXS are a band that people talk about enough nowadays. What I love about "Panic Station" nearly as much as the track is the video. It's just Muse having a heck of a time in Japan wearing wacky outfits. And you can tell they genuinely had fun making this video. It makes the song that much better seeing the band have fun. Because at times it's always felt that Muse took themselves far too seriously and think far too much of themselves. Check the video out if you haven't before. If you missed #37 go here.